Hollywood here lately has been fascinated with making ghost stories and trying to claim that people worship the dead. Unfortunately, because there is not a lot of information available on the web and/or there is no community available. Newcomers are usually led astray because of fiction writers desire to make a quick buck by preying upon individual's ignorance about the spiritual realm. So, to set the record straight, we don't worship the dead. We worship God and honor our ancestors. Cultures all over the world honor the deceased but in Kamitic (ancient Egyptian) belief, every deceased relative was not considered an ancestor. The true meaning of an ancestor or an Aakhu is an individual that exercised self-discipline in life and therefore was expected to assist the living in life. Surely, you would not want to honor an individual that suffered from substance abuse in life. This is because the same way you would not want to be around this individual in life, for obvious reasons. You would not want to be around them in death, because there is not much you would be able to learn from this individual. You want to venerate those individuals whose self-discipline made them honorable individuals in life. 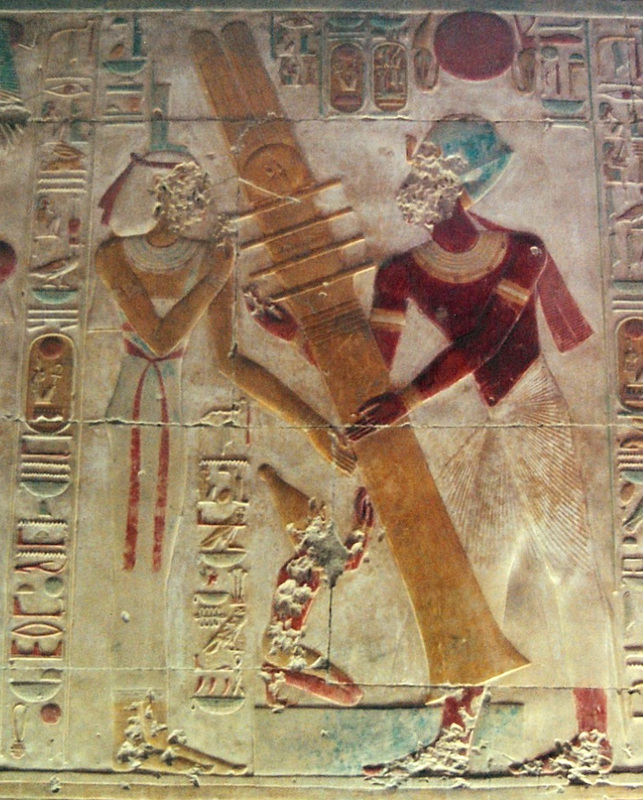 Self - discipline was symbolized by the Kamitic people as the djed (the backbone of Osar Greek Osiris) column. The backbone was used because this is what makes us sit/stand upright, hence the djed raising image below. In contemporary times instead of raising djed columns some people just plant trees, which has the same meaning when you understand it in its true context. So, one of the simplest ways to honor the ancestors in the Afro-Diaspora is to build an ancestral altar. Take photos of your ancestors (deceased biological relatives you respected and/or teachers). Then place their photos on a clean table covered with a white tablecloth. Arrange nine glasses into a semi-circle to represent the guardian angel(s) that governed your ancestor. Fill these glasses with cool water. Say a prayer in your own language thanking God for all of your blessings. It is common throughout the Afro-Latino communities to recite the Lords Prayer because it is a very familiar yet powerful prayer. Then say a prayer asking that God bless, strengthen and enlighten your ancestors. Next light a small white birthday candle and tell your ancestors how much you miss them. Ask them to assist you in your life. 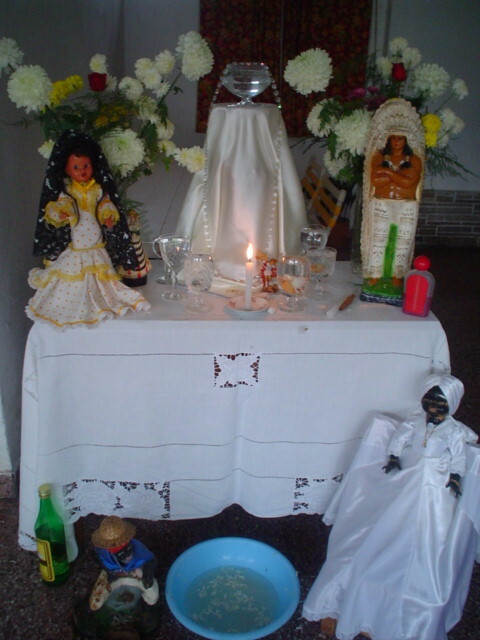 Since you cannot get something for nothing, because of the Maa (also called Maat or Ma'at is the Kamitic concept of balance, equality, justice harmony, law, order and truth), it is common practice to make an offering in exchange for your ancestors' assistance such as a cigar (for beginners do not light), incense (e.g. frankincense, frankincense and myrrh, or sandalwood), food (fruit, slice of pound cake, etc. ), beverage (strong black coffee without sugar or cream, tea or a shot of rum. Understand, offerings are given to the ancestors all around the world because although they do not need food and shelter as we (the living) do. They are however able to absorb the energy (life-force) from things that are offered to them, in order to continue their existence. Afterwards thank your ancestors for their assistance and allow the candle to burn down. On a day that is most convenient to you. Repeat steps 3 through 5. The above set up is a simple modification of an Aakhu altar used in Kamta. The above basic guidelines are usually done to help individuals learn how to ignore their wayward thoughts and control their mind. Thus allowing their ancestors to communicate to them intuitively through their dreams, hunches and thoughts. It is advised that you pay attention to your dreams, thoughts and ideas. Make sure that whenever burning candles and incense that they are safely away from anything that is flammable. Never put salt in food that is offered to the ancestors. Salt has the tendency to repel spirits. Also, if cooked food is offered it should be removed the following day. Never allow food to decay on the altar. Never put photos of those who are living on an altar for the dead. Never allow your ancestors to become thirsty. Always refill the glasses with water when it evaporates out. Also, don't give your ancestors too much alcohol, we don't want them to become drunk. Never allow the altar to fall into disarray. Besides being a great way to celebrate the life and contributions of your ancestors. Honoring the ancestors is a great way to verify that the deceased is truly resting in peace and ensure that your ancestral heritage will not be forgotten. 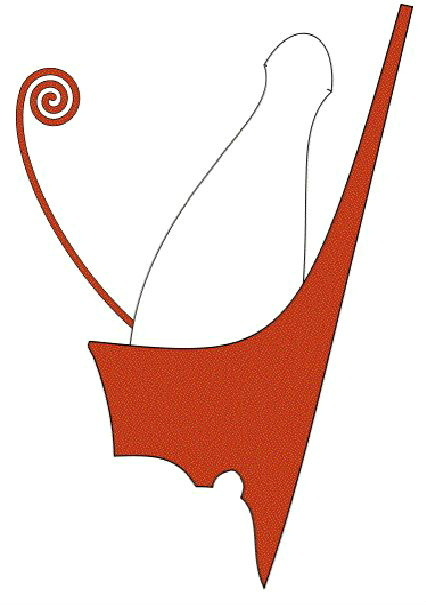 We must always remember that this is what Hru (Greek Horus) had to do for Osar, because this is how he acquired the double crown.